To day, December 16, 2017 it is 73 years ago that the Germans started an offensive westwards. Hitler called this operation Wacht am Rhein, which translates to Watch on the Rhine. This name suggest a defensive move, but it was ambtious, it was planned to reach the Belgium harbor of Antwerp. Hitler hoped to disrupt the Allied armies in the West and by this to gain time to halt the Russian armies in the East. This hope dead in the rocky wooded hills of the Beglium Ardennes. Regretfully many people were wounded or killed during this weeks of this battle which ended Januari 25 1945. 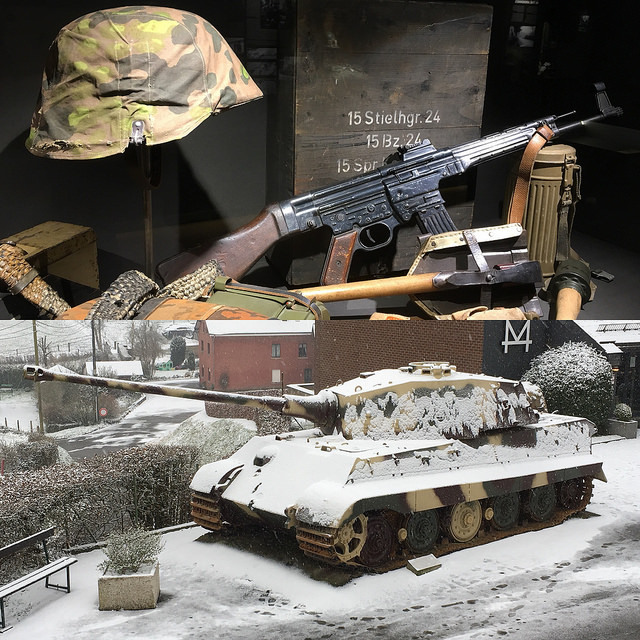 In december 2017 I visited the Battle of the Bulge museum at La Gleize again. December-44-Museum had been renovated entirely. You start at the first floor, the hall is dimmed, but the displays are lighed just right. 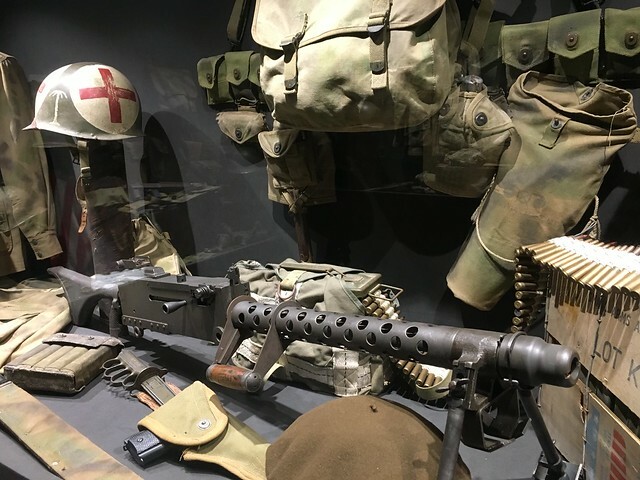 There are a lot of items shown but not to much, the displays are chained together with a storyline. The mannequins are not as good as those of Madame Tussauds, but they are quiet good, so not 70ties recycled mannaquins. On the 1st floor is also a small movie theatre with a half hour movie ot the battle for La Gleize in 1944. Original propaganda footage of the Battle of the Bulge combat. 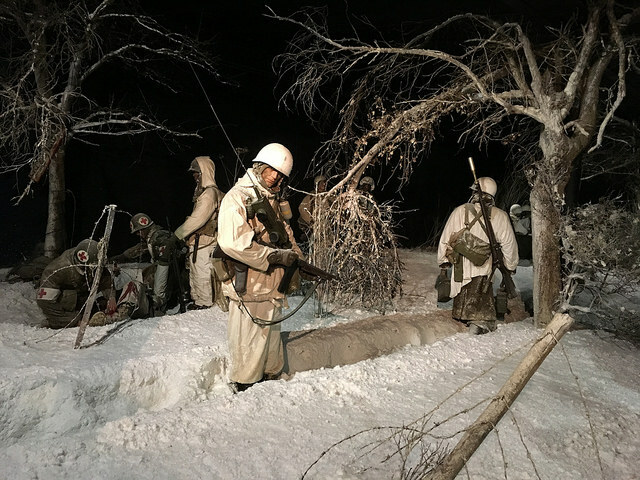 This movie gives you an overview of the Battle of the Bulge and the drive west of Kampfgruppe Peiper, the tenacious defence of the 82nd Airborne and the destuction of the village La Gleize. Back on on the ground level you find more displays and dioramas and finally you enter the museum shop. 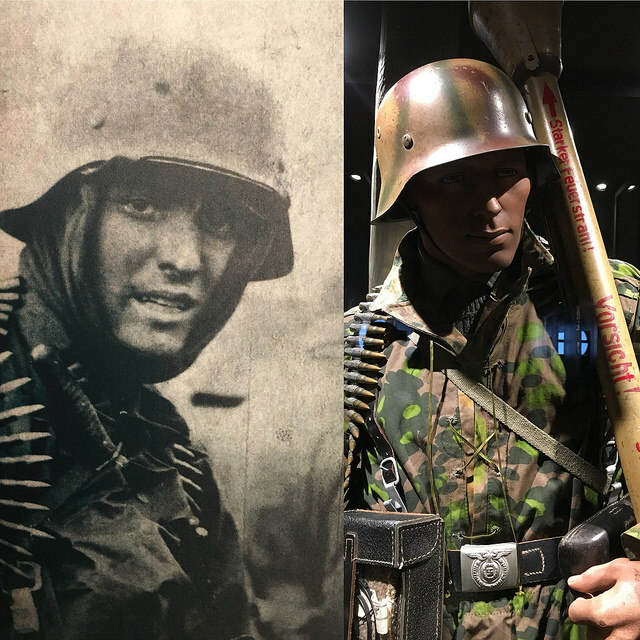 This museum shop not only sells the obvious books and souvenirs, but also the real stuff, so the authentic uniforms and various items. Welcome to my renewed website as of september 2017!